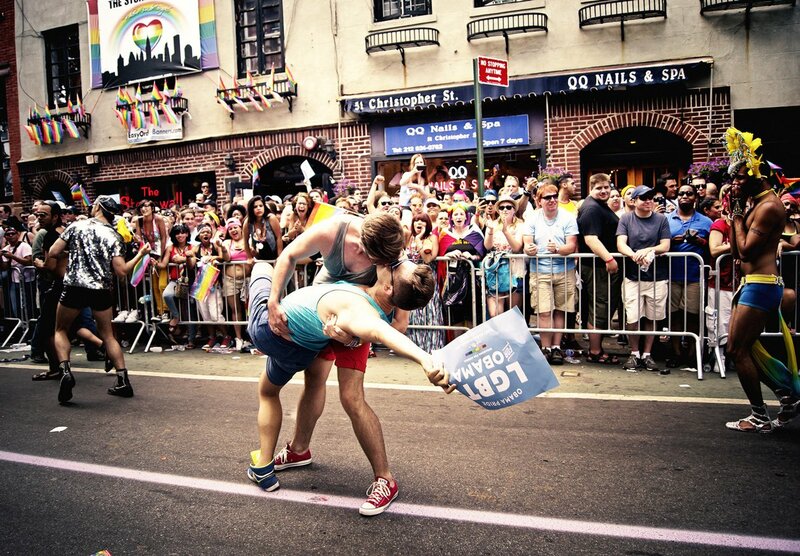 The dominating celebration of this week and weekend is of course NYC Pride, a city-wide, days-long series of festivities celebrating LGBT, diversity and an overall message of LOVE. If you can’t take the crowds during the iconic March, make sure not to miss the screening of “Paris is Burning,” which will include a reunion with original cast members. 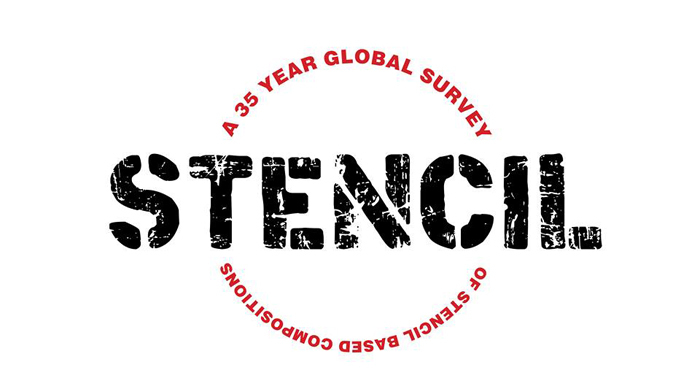 On the art side, enjoy a survey of stencil art at Dorian Grey, while the Gladstone Gallery will be transforming its walls into literal art works. The Lower East Side Printshop shows off its most recent artists in residence, and Chashama’s Harlem space will be hosting a show about Spinozan ethics (go to at least find out what that means). Artist Andrew Jeffrey Wright blends art, comedy and a dance party (together at last!) and innovative fashion collective threeASFOUR creates a fashion-meets-art installation for you and your dog on the beach in Fire Island. School yourself on who’s who in the stencil world with this all-encompassing exhibition of stencil and stencil-inspired art. Works will range from the powerfully simplistic to the photorealistic. In a time of record-breaking art sales, it’s commendable—or crazy—to create a show of totally unsellable work. 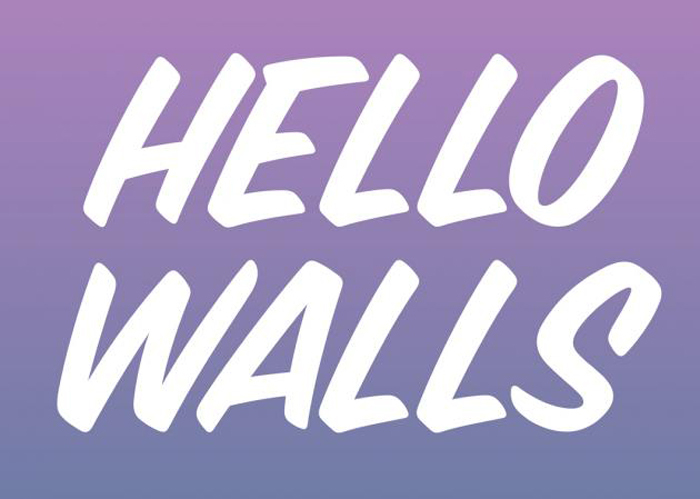 “Hello Walls” is just that. The two Gladstone spaces will feature works painted or drawn directly onto the wall, unremovable, and therefore unsellable. Pretty cool with a great line up: Ricci Albenda, Mel Bochner, Angela Bulloch, Daniel Buren, Neil Campbell, Michael Craig-Martin, Jeff Elrod, Douglas Gordon, Arturo Herrera, Karl Holmqvist, Sol LeWitt, Wangechi Mutu, Raymond Pettibon, Ugo Rondinone, Kara Walker, and Lawrence Weiner. Although it’s no longer on the LES, the Printshop is still a center for art innovation, hosting an array of important artists in residence—and then offering up the toils of their labor to visitors. The latest group features a line up of impressive artists, including Derrick Adams, Ryan McGinness, Sebastiaan Bremer and Simon Evans. Check out their specially produced editions, and pick one up! Not-for-profit Chashama connects artists of all genres with affordable exhibition space all over the city. Their Harlem space will be taken over by the Baroque Power Group, with works by Hovey Brock, Quinn Dukes, Alexandra Hammond and JD Raenbeau. The group is sharing art reflecting their Spinozan ethics, which proposes that all things partake of one substance, and are therefore connected. Kick off Pride weekend in the most amazing way ever by taking a trip back in time before New York was the commercialized center it is now. 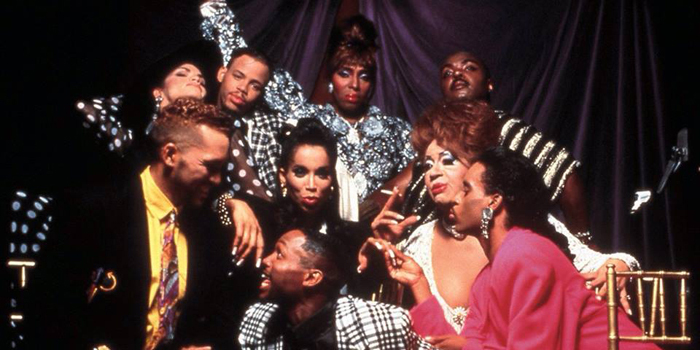 Catch a screening of the legendary “Paris is Burning,” an iconic documentary of the Harlem drag balls of the 1980s. Director Jennie Livingston will be on hand, and there will be a restaging of the classic drag ball, hosted by cast members Grandfather Hector Xtravaganza and Jose Disla Xtravaganza, who will present members of the Houses of LaBeija, Ninja, Mizrahi, Khan, Infinity, Milan, Princess and Xtravaganza!! Summer weekends were made for the beach. I first lusted after threeASFOUR‘s (then just AsFour) famous circular purses in 1999. They’ve since lost a member, but expanded their fashion label into a conceptual art form which has included exhibitions and performances. This weekend they take over the Cedar Walk beach with a performance sponsored by NYPAC that invites visitors and their dogs to be photographed in their garments amidst a site-specific Plexiglas installation. 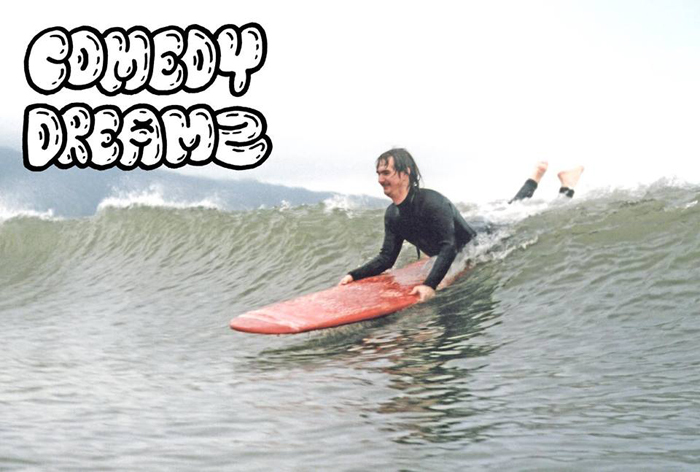 Philadelphia-based artist Andrew Jeffrey Wright has expanded his hilarity in art into the real stand up comedy realm. Co-hosted by Rose Luardo, the night will including arty fun and performances by Body Dreamz, Amber Nelson, Joe Rumrill, Jessica Delfino, Leather & Lace, Greg Barris, Mary Houlihan and more! AND it ends with a dance party. It’s the biggest Pride parade in the world and it’s a hell of a lot of fun! This year celebrates the 45th annual parade, hosted by grand marshals Sir Ian McKellen and Sir Derek Jacobi! Expect a weekend of fun, floats, celebs, over-the-top outfits and (fun loving) crowds.